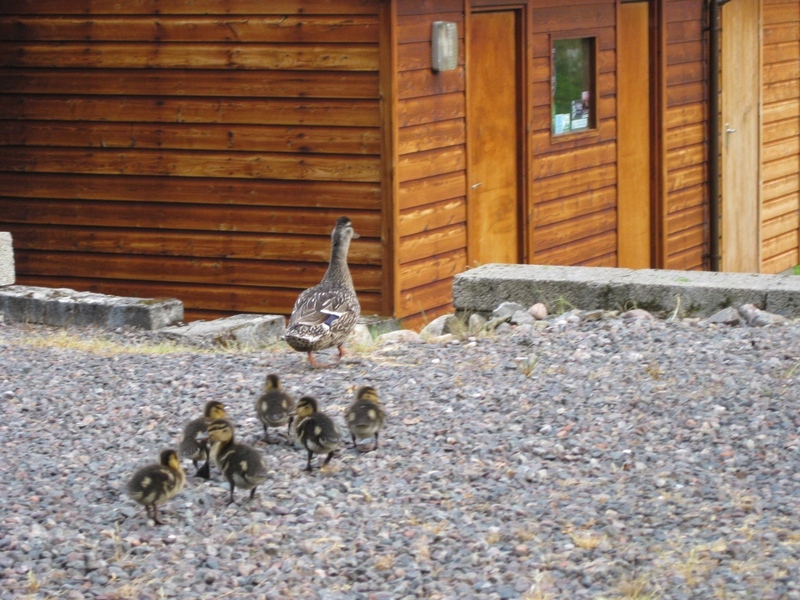 Most of our visitors return year after year. This page is mainly so that they know about recent changes. For those who have not been to John Fisher's for some years, click here to see what improvements have taken place in previous years. Because reception is virtually non-esistent in the area, the Carn Gorm community share our own special system. This provides in high quality five programmes - BBC1, BBC2, ITV and Channel 4; the fifth channel varies, often showing ITV3. There are no other channels. If the electricity supply in the area fails, all reception ceases. We have now installed an expensive device which restarts the system automoatically, but this takes time. This will - in time - provide the five channels in the above order. Do not try to hasten the process, because if you do you are likely to lose all reception. If, when the channels are working, one or more is not showing what it should (eg a Sky advertising channel), the device has not worked. Phone for David or Andrew Lee (01599 511 276). One of them will manually reset the programme, but this takes them a little time. We are exploring other ways to minimise interuptions. We have bought a new fridge/freezer, a little larger than the old one. The block of ice at the back of the fridge is now a thing of the past. Replacement double glazing has been fitted to all the ground floor windows which had 'sprung'. We made a real effort to go green in the past year. For full details click here. We now supply all necesssary cleaning material which are ecofriendly. These include what you need for the kitchen and the rest of the house, washing up liquid, dishwasher tablets etc and encourage recycling as far as possible. Look at the details of our green policy before visitng the cottage. We (or rather David Lee's son Andew) has removed many of the trees between our garden and the Macraes. The roots were threatening the shed and some had grow so tall that if they were uprooted they would do significant damage. 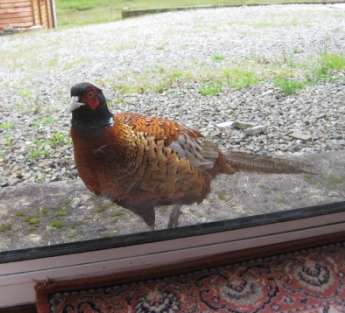 This has greatly improved the view from the kitchen window. We have put new parts in the downstairs lavatory cistern which now fills up very quickly - sorry it has been so slow. We have also improved the water tank on the hill and painted the west facing side of the shed room. (These are mainly out of sight!). We still are looking for someone to spread more gravel round the cottage - any offers? 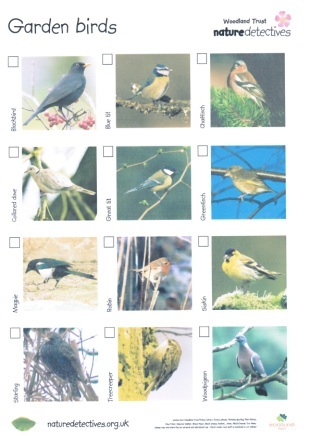 From January 2013 we will have a series of 15 observation sheets for children (and adults too) so that they can identify and record the wild fauna and flora which they find in the cottage garden and the immediate area. Our next door neighbour, Margaret MacLeod, who lives in the Shepherd's House (first left as you walk towards Morvich) is a gardner who was made redundant when the Balmacara Garden was downgraded, and she is now our gardner. She tackles the grass and weeds, and is helping us plant some hard wood trees. Murdie Macrae has had some medical problems recently and his sight is very poor. He has had go give up driving and he and Mary are largely confined to their home and garden. The existing radiator had been replaced by a larger one, and an additional radiator installed under the handbasin, so this bedroom is now warm in the coldest weather. A new vanity shelf has also been fitted. There is now a fortnightly collection of recyclable material which shoudl be placed in the new blue wheelie bin. Details of what can be recycled are prominently displayed. So we now provide two waste bins in the kitchen, one for landfill (green wheelie bin) and one for recycling (blue wheelie bin). A new wheelie bin area has been created so they are no longer kept outside the porch. In addition we provide a plastic recycling box by the wheelie bins for bottles. This is not emptied with the wheelie bins. Please collect your bottles and take them to a recycling centre before you leave. The water tank on the hill has now got a new manhole lid, replacing the previous one which was 40 years old. To marvel at this sight, walk up the hill opposite on the right hand side of the cottage and after about 60 meters you will see the water tank. The Portbahn Café at Ault-a-chriunn is now the Jack-o-bite. We welcome suggestions for further improvements. See also on our green page. 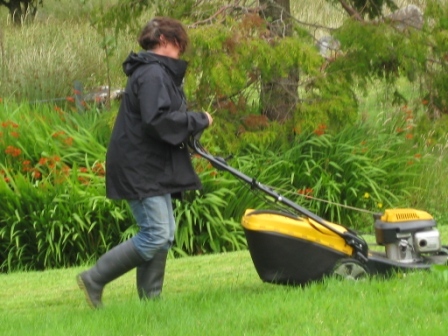 Our gardner, Margaret MacLeod, hard at work keeping the grass down.